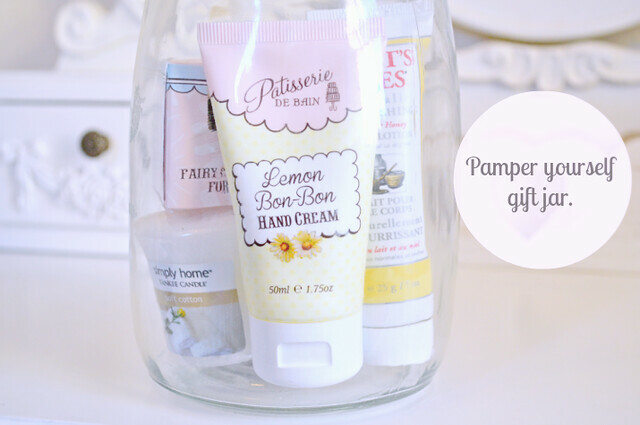 My mum is pretty stressed out at the moment and I thought this ‘pamper yourself’ gift jar would encourage her to take some time out to herself (mums always seem to have trouble making time for themselves) and have a little mini pamper session. 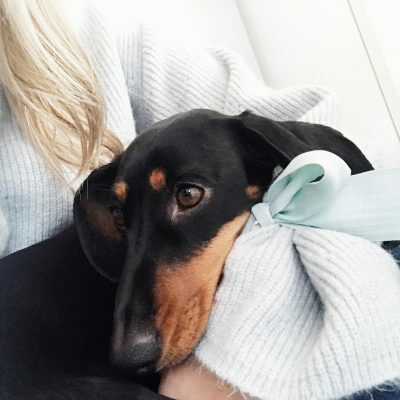 I included some mini pamper essentials items and other bits and bobs. I thought it would make a great gift idea for others too! 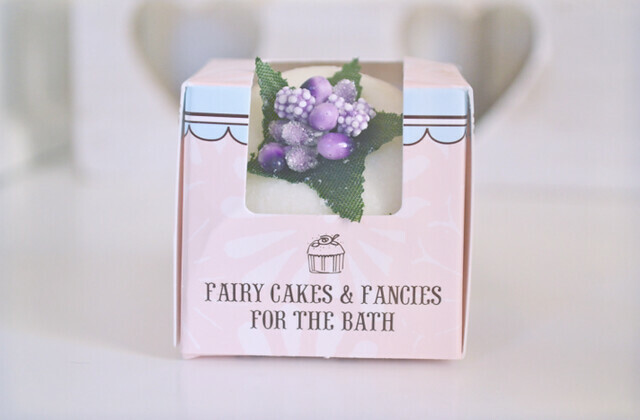 I bought the jar from hobby craft for around £3.00 So here’s what I included..
A while ago I was sent some absolutely beautiful items from Rose & co. < link They sent me 3 beautiful little bath bombs they smell incredible, so I thought I’d give one to my mum. 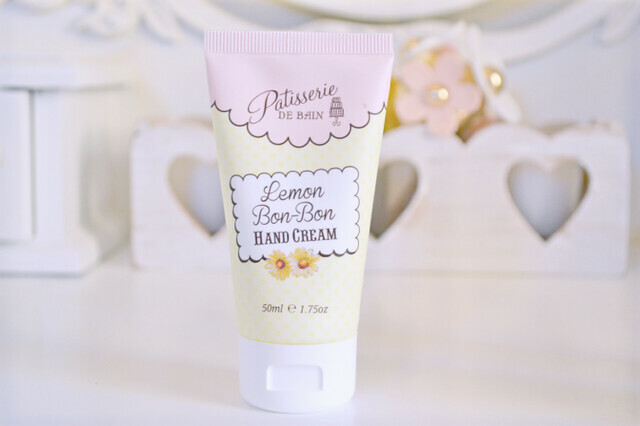 They also sent me this ‘lemon bon bon’ hand cream it smells absolutely incredible.. 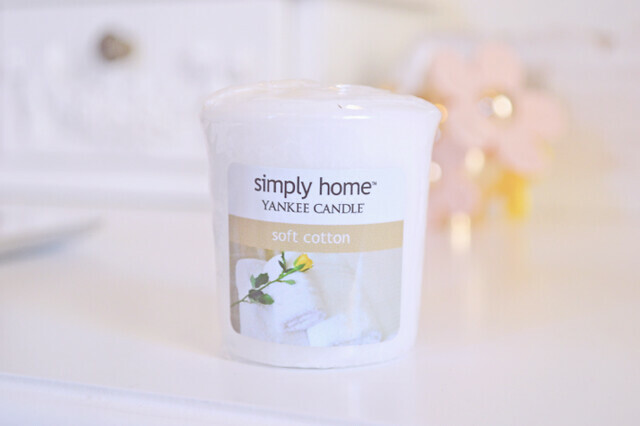 I loved it so much that I regretted giving it away to my mum instantly so I bought myself some off their website to keep in my handbag it smells so zesty! I also spotted strawberry cupcake body cream on their website mmm.. the items are packaged so beautifully too, always a nice little bonus I think makes things feel much more special! If you want to check out their website clickable link is above in pink! A little yankee candle to go on the edge of the bath whilst having a long soak with lots of bubbles (I love doing that, so relaxing.) I was thinking of adding some chocolates in the jar too wrapped in a little organza drawstring bag because who doesn’t like eating chocolates in a giant bubble bath?! You can add anything you want to this jar really as everyone has different tastes. Maybe add a face mask sachet or a hair mask maybe some scented tea lights etc etc Boots are perfect for sample size mini goodies 🙂 Usually I would wrap this with a ribbon and add a gift tag but I’m seeing her tomorrow so I probably won’t have time! I know a lot of my friends would like to receive something like this What do you think of this gift idea? Previous Post Ice cream cone cupcakes. Such a lovely idea! The candle is a wonderful touch, I love the fresh clean smell of that scent. That's such a sweet and thoughtful gift, and I love to idea of putting the gifts in a jar together, it looks adorable! That is such a lovely present. Your Mum is very lucky! I shall definitely be stealing that idea for future gift-giving. This is beautiful. Bearing this in mind for all future birthdays/Mother's Days/Christmases. This is such a nice thoughtful idea! I always do my mum something like this for her birthday, the jar is a lovely idea though! I do this for gifts, makes it a lot more special when you buy little individual items that you know they'd like or mean something to them. I'm a big fan of packaging and especially like the hand cream one. Lovely colours indeed. Definitely add a bit of chocolate too, that'll be lovely. Hope she enjoyed the little treat and starts making some time for herself. This is a lovely idea. Me and my sister often have what we call a "Happy Nothing Day" gift. Just a gift when you see something pretty they might like or if they are stressed out. This is such a thoughtful idea and the way everything looks together is cute! Such a lovely idea, moms just never seem to have time for themselves! 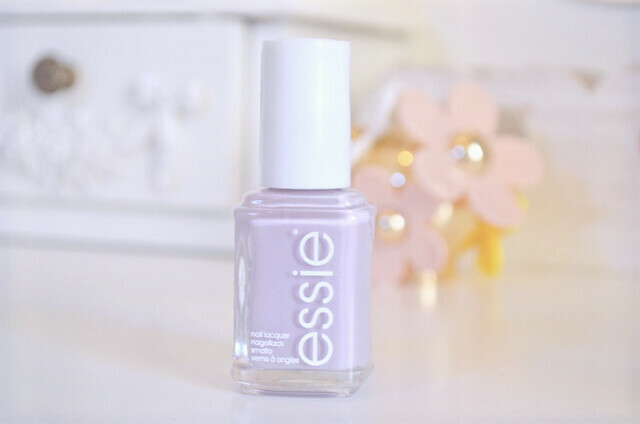 You're so thoughtful and this gift is just perfect for any occasion. I love it! Very cute 🙂 time to treat the mother I think! That is the cutest idea, so thoughtful and personal. That is such a lovely idea!! So true, Mums are so used to taking care of everyone else they sometimes forget to take a moment for themselves! 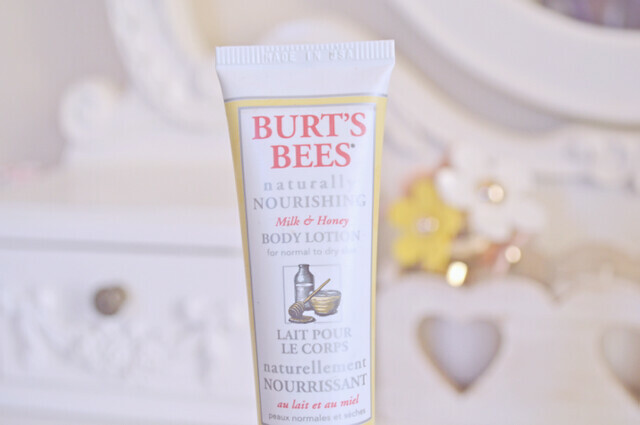 I got a care package from Burt's Bees and that body lotion was absolutely brilliant, I'm sure your mum loved it!! That is such a lovely idea, so thoughtful of you! 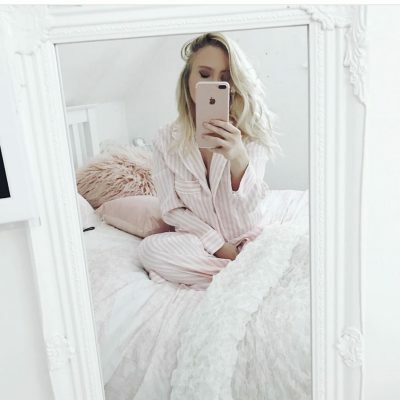 All the products together look so cuteee! Such a great idea. I always try to do themed gifts and often do something similar adding in chocs and magazines, particularly if someone is unwell. Lovely idea, especially now mother's day is coming up. Think my mum would love this! I have the leom bon bon shower gel from Rose & Co and it's amazingly zesty so I can imagine the hand cream is pretty special to, and I love their bath fancies! I love this idea, it's really nice! What an adorable idea, I am completely smitten with it. This is really an awesome idea, I will try to make a pamper jar for my friend's b'day this year.